Register and get your FREE E-BOOK now. So would you like to learn some low cost tips to increase your profits and how to implement an easy system to consistently grow your sales? Simply register here for a copy of our FREE E-BOOK on how to increase your profits with 7 PROFIT MULTIPLERS. We are sure you agree that keeping a great client is easier than winning new client and can be more profitable. See how your can track your existing client's lifetime value and also understand a simple formula for multiplying your average profit success! 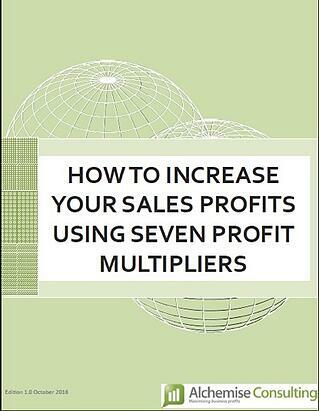 GET YOUR FREE E-BOOK FOR 7 PROFIT MULTIPLIERS and discover the simple strategies that will boost your business growth!